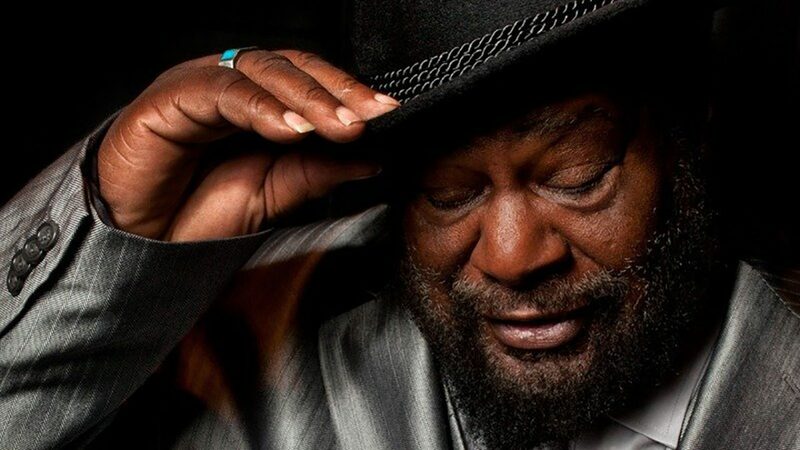 BOSTON Just one stop into their 2013 tour, Dr. George Clinton and Parliament Funkadelic (along with a large chunk of the Northeast) had their plans sidetracked by the biggest snowstorm to hit the Boston area in 10 years. Hardly phased Clinton and co. have rescheduled their House of Blues gig in Boston to Wednesday, (Feb. 13) night. For over two decades Clinton has been championing copyright law, winning a major lawsuit in 2005, which returned ownership of songs he recorded with Funkadelic in the 70’s. In 2013, Clinton said his goal is to further that cause for others as well as himself. Clinton’s main opponent has been Bridgeport Music Inc., a company that owns the rights to about 170 songs written by Clinton and other members of his bands. The company has said Clinton signed over his rights to the music in the early 1980’s but Clinton has retorted, saying his signature was forged. The resulting legal battle continues. At the age of 72, Clinton is still going strong and as busy as ever. In the last year he raised over half a million dollars to restore and preserve his bands’ original recordings and rebuild his studio, was awarded a Honorary Doctorate of Music from Berklee College of Music and launched a legal defense fund for further copyright cases. This week, he spoke with WickedLocal.com about the tour, copyright law, being snowed in and getting clean. WickedLocal: Can you tell me what you hope to accomplish this year in your fight against BMI over copyright law? George Clinton: We’re getting the word out and we hope to expose the practices of these companies. We launched our site, entirely dedicated to the issue, Flashlight2013.com, to get it out there and share what we’ve been going through. I’m raising my voice for everyone that has been cheated out of royalty checks, including my family, my band members. We’re talking about 30 to 40 people just with me who are missing out on these royalties. Of course, the record companies have worked for years to keep the system as is and it’s just become harder to fight for our song rights. Companies like BMI have been going after artists for samples they’ve used and it’s not the rappers that are at fault. They’ve had their money taken away; it’s just never got to the right people. 2013 is a big year because it’s the first year many artists will be able to file for termination of these contracts. It’s a huge issue and my goal is get the songs back I and others wrote, get some money back – although I know we won’t get it all back – and allow people to recapture their songs. WL: How do you find the energy to keep playing shows year after year? GC: It’s fun and when you like what you’re doing, it ain’t no problem. It ain’t that hard. Our first show of the tour was in Vermont on Thursday and we played all kinds of songs, but a lot of older stuff from the early 60’s. Fans were going crazy. But, you know, it’s always fun and good on tour. I’m feeling refreshed and with the renewed fight for copyright, the entire group and tour has a new enthusiasm. WL: The rumor is that you’ve cleaned up recently. Can you talk about that? GC: I have cleaned things up in the past couple years, that’s for sure I’ve got a lot of renewed energy and although I’ve always had energy playing music, I’m not expending any on finding and doing drugs. I’m also not spending any money on it either (laughs). I’ve got a whole new outlook on life and I’ve just realized I can’t be handling my business like that. You can’t be messed up and do what you need to do, it’s impossible. I paid a lot of money to get messed up and that’s all I got. But, I’m glad to have made that turn. It’s also helped in the fight against these companies like BMI. I think that they believed that I’d be out of commission when I started this fight and I’m not and I think we’re doing pretty well. WL: You mentioned that you’ve been filming a new reality TV show, how’s that going? GC: It’s fun, yeah. We’ve had cameras around for a long time before this so it feels natural. We’ll be filming a big episode on Tuesday, at the show at B.B. Kings in New York, talking about the group’s history and everything else. It’s been a lot of fun just getting everyone on tape, playing music and clowning around while talking (laughs). We’re all just happy to be on the road again and resuming the tour after being stuck in snow for the past couple of days. We’re happy to make up the Boston show this week and we’ve always loved that city. Since playing the Sugar Shack in the 60’s, we’ve had a real good time in Boston. It’s a great place.